Couple of days ago, I was typing something on Facebook search box. And a notification appeared as - Now you can search posts! I was really surprised. Immediately I tried the feature and it was very useful. With this option, you can find any posts that you've seen before on Facebook. Note: Photos or videos can be found by the words used with them while sharing. How to Search for Posts/ Videos/ Photos? Suppose you need to find something on Facebook which you've seen before. It could be either a post, photo or video. Remember the words which were used with it. Now type the words in Facebook search box. Don't press Enter. Click on the search icon of the search box. Look at the above image. There are options like posts, people, photos, pages, places etc. Try them one by one until you get your desired post. Also remember, you may get several results for a single item if it's shared in different groups or pages. What Does Facebook Say about it's Search? Find the people and posts that matter to you most. Find any post you've seen before on Facebook. Explore the world through the eyes of your friends. Find old friends - and new ones, too. Concern for Other Search Engines! Google or Bing is already capable of searching Facebook posts. If you search something on Google which is already shared by someone on Facebook, Google will show that Facebook page in search result. But as there is an improvement on Facebook Search, Google may loose some traffic. 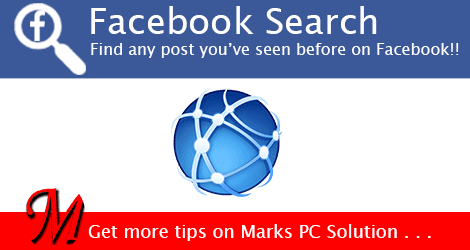 Many tips and tricks, news, tutorials are now being shared on Facebook Groups, Profiles of Pages other than blogs or websites. And naturally people may start searching something on Facebook since it enables the users to search for posts! And what, if Facebook starts a complete web search engine in the future? Mr. Google - Beware! Though I’m engaged in blogging for two years, I never tried to write posts using any third party tool. 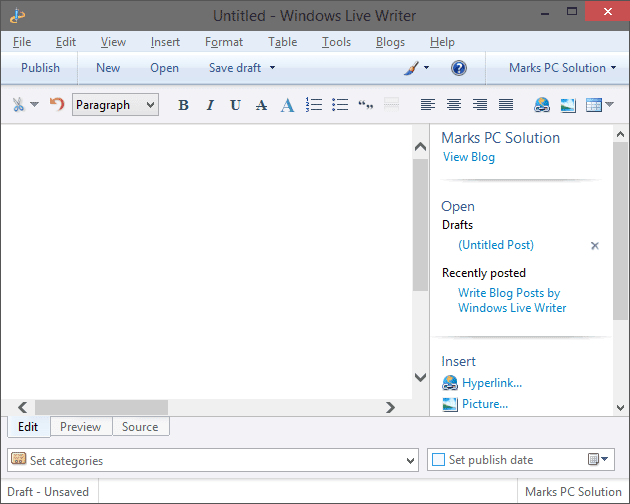 Only a few days ago, I've come to know that Windows Live Writer allows to prepare draft post. And after completing the draft, you can publish it on your site! It’s a good question to start with. Both Blogger and WordPress (or any other blogging platform) have a nice typing interface. You can easily write and publish a post using the default options. 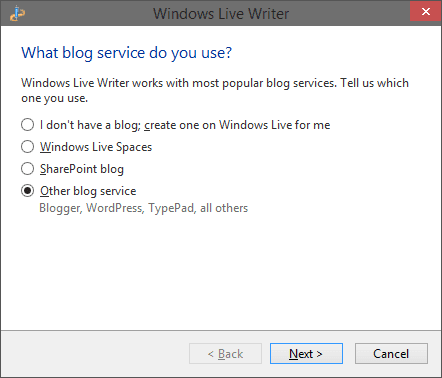 So, you may ask – is there any necessity to use Live Writer? Live Writer provides an interface that almost looks like MS Word. It allows you to create table without using HTML (Exclusive Feature)!! You can work offline even without connecting to the Internet. You can count words, check spelling and so on . . .
Live Writer is fully integrated with WordPress. But it also supports all major blogging platforms like Blogger, TypePad, SharePoint etc. After installing the Writer on your PC and adding your blog account, it downloads the theme of your site including font size, style, layout, categories etc. So, when you’re writing a post offline, you will feel like writing in your own blog platform. Most importantly, you can also preview the post without net connection! But when you’re writing a post using Blogger or WordPress, it’s impossible! First, you've to choose the programs you would like to install from Windows Live. For me, Writer is the only app that I find useful from here. If you need any other app, just tick it. Now press the Install button. When the installation is complete, you will be asked to set your homepage and search provider. If you don't need to change anything, just unmark the options and hit on the Continue button. Look at the bottom. While writing a post, you will be in the Edit Tab. If you would like to get a preview, then hit on the Preview button. Look at the Menus. There is a Blog menu. To add your blog account, go to the Blog menu and choose Add blog account . . . Wait few minutes and let the Writer set up your blog. Writer will download the theme of your blog including categories, font style, text size and other information. 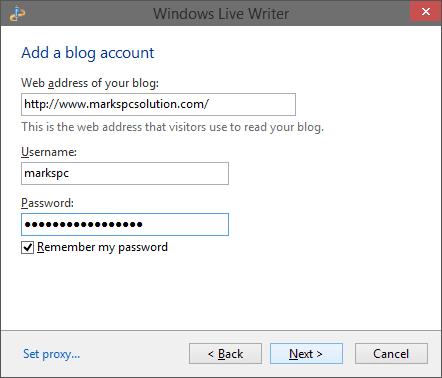 After successfully adding the account, you will see your blog at the top right corner of the Windows Writer. Using the Live Writer is very simple. Just after running application, you will be able to start blogging. You can save the post as draft and directly publish it on your site when it's complete. You can add anything from the right sidebar or from toolbar at the top. You can choose a label or category from the bottom. To add or remove a blog account, use the Accounts option from the Tools menu. To edit blog settings, go to Blogs menu > Edit blog settings. To create a table, go to Table menu > Insert Table > Enter # of Rows and Columns > Choose Pixels > OK. 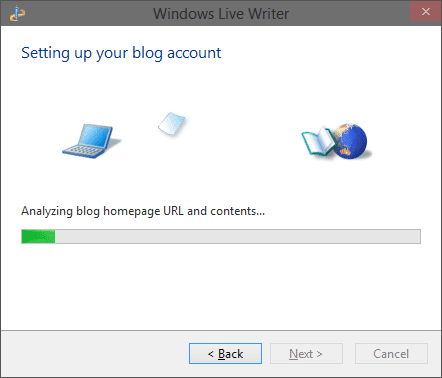 Though writer is a very handy tool for blogging but naturally you might face some difficulties. As you can't control your site directly from Writer, you must use your blogging platform ultimately. Writer can only help you to create the draft . . .
Google Cloud Printing - Anytime, Anywhere! Could you imagine printing from a remote place without network cable? Or could you ever imagine printing from any device like mobile, tablet or laptop which has no printer connected to it? I guess most of you will say a BIG no! But Google Cloud Print technology has made it possible. 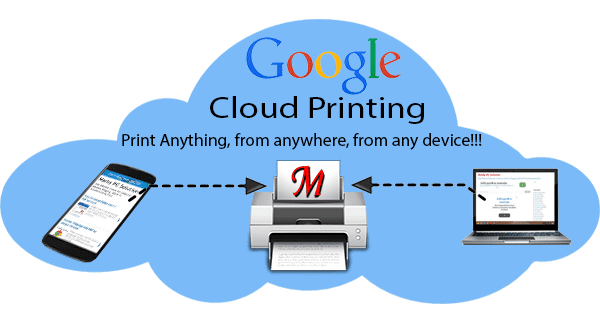 Google Cloud Print enables you to print from a mobile, tablet or PC. You can connect your printer to Google Cloud Print within moments. And when you're out of home (whatever the distance), you can print even from your cell phone if the printer is ready! Basically it's a cloud technology that works with the help of Google Chrome. You can print right from your chrome browser. To do so, you must need to upgrade chrome to the latest version. To use the cloud print, you must sign in to Google Chrome using your Google account. Then you've to connect your printer to your Google Cloud Print account. After connecting the printer to cloud, you can print from a remote place. And you're also allowed to share your printer with a friend through his Google ID. Run Google Chrome, open Chrome menu and choose Settings. Sign in to Chrome if you are not already. Scroll down and choose Show Advanced Settings . . .
Now find Google Cloud Print and click on Manage button. Now you'll get a list of connected printers and available printers. Go to the Classic Printers section and hit on Add Printers. Finally you will get a confirmation message - Google Cloud Print has been enabled. Now go to the print option, choose your cloud printer and give print command. Then Google will upload your document and send it to your cloud print account and finally the print job will start if your printer is ready there. For any reason, if you can't print, the print job will be stored on your Cloud Print account. Go to the list of cloud printers. Now choose your desired printer. Hit on the Share button. Now you can change the privacy. You can also invite someone through Name or E-mail. Also choose whether he can only print or manage the printer too. Finally, hit on the Share button. Hopefully Google Cloud Print will help you a lot. I haven't been able to test this technology yet. If you've already tried, please inform me. To know more, follow Google Cloud Print . . . 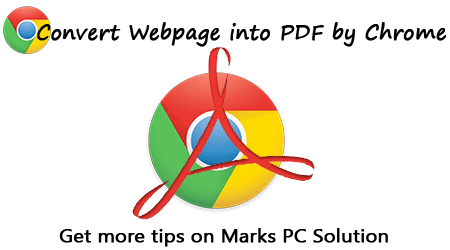 Convert Webpage into PDF by Google Chrome! Often you may need to save a webpage for future use. There are different ways you can follow to save a webpage. Such as - directly copying texts, printing, saving as PDF etc. But in most of the cases, you may not get a satisfactory output. If you're Google Chrome user, I can guarantee that you will get a much better printing option . . .
Google Chrome has a nice printing option other than Windows Default Print Dialogue. Here you will get a preview of the pages which you wanna print. But if you use the system dialogue, there will be now print preview option. Make sure your Chrome is up to date. Now open a webpage that you wanna save as PDF. Press Ctrl+P and immediately you will get a Print option on the left and Print Preview on the right. At the top you will get the number of pages. You can choose printer from Destination option. Hit on the Change button to choose a printer. Select Save as PDF to create a PDF copy of the current webpage. Then Choose Pages - Select All or enter page number. Choose Paper Size & Layout. You can also customize the Margins if necessary. Select custom margin and drag the margin to fix your margin size. Choose the Options - Select whether the Headers & Footers, Background Colors & Images will be printed or not. 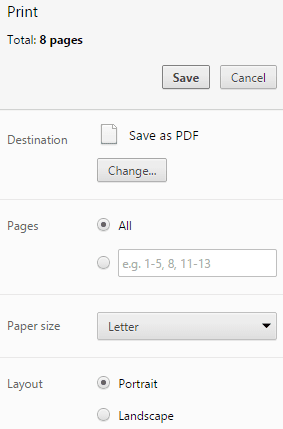 Finally, hit on the Save*/ Print button to save your document as PDF or print using a printer. * If you save as PDF, you must choose a destination. Google Talk is Gonna be Shut Down!! 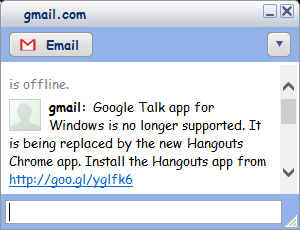 Google Talk app for Windows is no longer supported. It is being replaced by the new Hangouts Chrome app. Install the Hangouts app from http://goo.gl/yglfk6. It's my post number 400! I'm really sorry to publish a bad news in this post. But I promise, in post number 500, I will try to write something exceptional. I've already got the idea for that post! I was really surprised and shocked after getting this message. 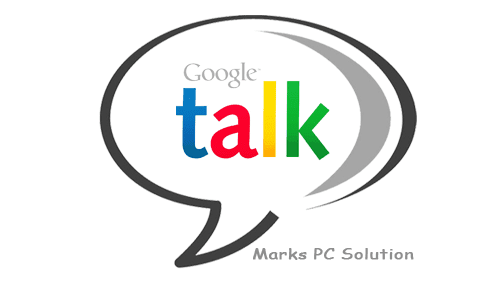 To chat with my friends and blog visitors, most of the time Google Talk is my first choice. I don't like chatting in Gmail because it's heavy and slower. 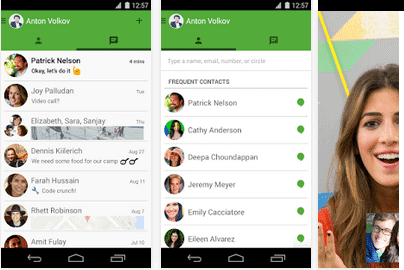 Google is trying to promote its Hangout app for Android, Mac and Windows operating system. They are also trying to move the Internet world to Google Chrome. That's why Windows users can't use Hangout without Chrome. Hangout is installed as a Chrome extension which is really bothering. But I think Google Talk was a really smart tool to communicate with people. Google could develop the app instead of shutting it down. And some of the Google Talk features are not available in Hangout. In slower connection, you may need to fight to connect to the Hangout. It's really frustrating. Hangout looks smart but I think some changes are necessary. Think about file sharing. Google Talk users can share files but this feature is not available on Hangout. Of course you can share images through Hangout. And it also allows you to draw something in chat window. As I mentioned earlier, Windows 10 has come with some boring changes. One of the stupid changes is related to Automatic Update. In Windows 10, you're set to automatically install new updates. And you've no choice to change this settings. Because the change settings option is disable. When you Disable Automatic Update? Check for updates but let me choose . . . But still you have a chance to configure Windows Update. And you've to enable this settings from Group Policy Editor. 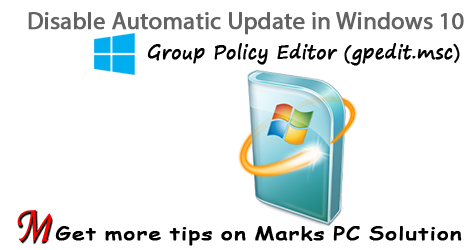 In this post, I'm gonna discuss about enabling/ disabling Automatic Update of Windows 10. Press Start+R > Type gpedit.msc > Press Enter. Computer Configuration > Administrative Templates > All Settings. Find Configure Automatic Updates (Press C to go there quickly). 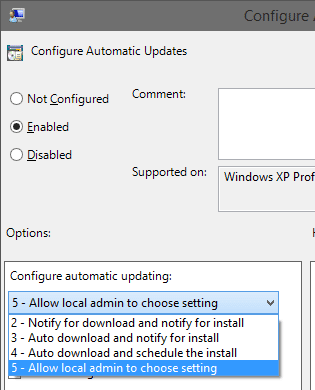 Choose Enable > There are 5 choices in the Options > Choose # 5 - Allow local admin to choose setting. Have you noticed that the Never Check for Updates option is not available here? This option is vanished from this settings. Anyway, you can stop checking for updates completely. Choose Disabled > Apply > OK.
Now your update settings will be disabled again. But this time, you Windows will never check for any updates! 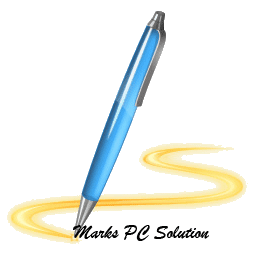 If Group Policy Editor (gpedit.msc) is not Available? Control Panel > Administrative Tools > Services > Scroll to the bottom > Windows Update > Startup Type > Choose Manual > Apply > OK.
Hope this will help. Take a reboot if necessary. Can't type @ on Windows 10? Fix it now . . .
Windows 8 came with a really smart look. 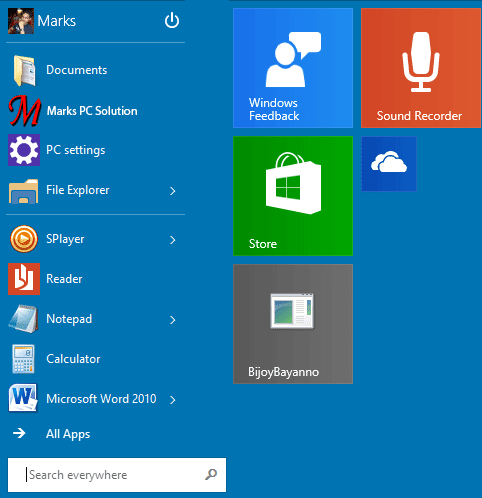 But due to the negative feedback, the latest version of Windows (Windows 10) has come with traditional Start Menu. And to be honest, I can hardly find any change in Windows 10 which I can appreciate. Applies to - Windows 10 Technical Preview. It looks really frustrating. To be honest it's not worth of including here. In this combination, I can't work comfortably. And I guess most of the users have already adjusted with Windows 8 Start Screen. So it was not necessary to change this feature in Windows 10. 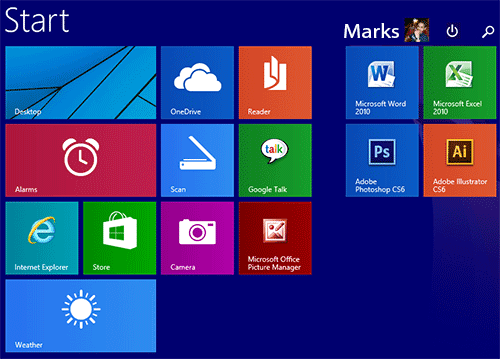 Windows 8 lovers will hardly appreciate the new look! Right Click on your taskbar and select Properties. Go to the Start Menu tab. 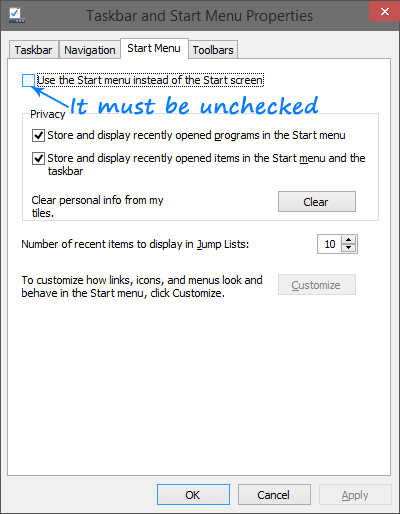 At the top, you will find this option marked - Use the Start Menu instead of the Start Screen. Simply click on the checkbox and unmark this option. Hit on Apply > OK and get your smart Start Screen back! .Net Framework 3.5 is missing by default as it was in Windows 8 and 8.1. And it causes problems while running those software which require this feature. Don't worry. 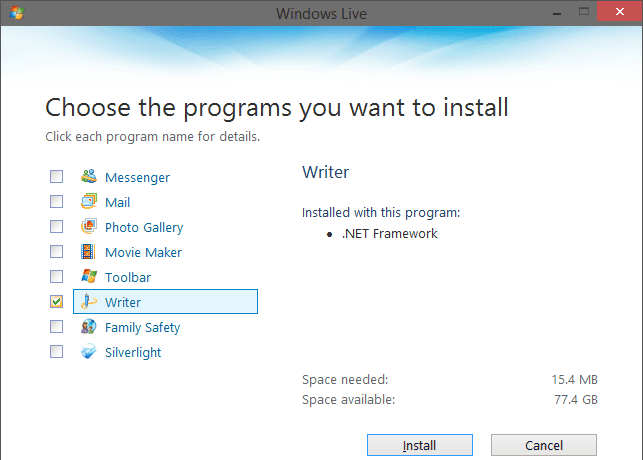 You can install .Net Framework 3.5 following the same instruction as it was in Windows 8. Simply follow this method. 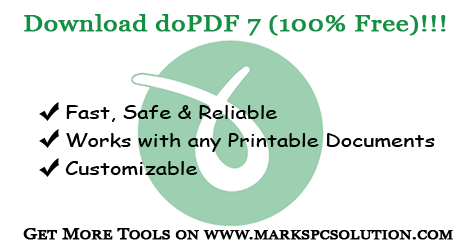 Free Download doPDF 7 (Only 4 MB) !!! If you work with PDF documents then you must be familiar with the most reliable PDF creator - doPDF. Currently doPDF is offering version 8 and its size is 40 MB! Where doPDF 7 was only 4 MB and version 6 was only 1.2 MB! And I know it will be very difficult for you to find doPDF 6 or 7. Because doPDF doesn't store the previous version of this tool. And every third party software download site has already upgraded to the latest version of doPDF. That's why I'd like to share doPDF 7.2 with you. Download doPDF 7.2 (It's 100% safe and ad free). It's a zip folder and 3.7 MB in size. Unzip the folder and double click on dopdf-7.exe to start installing. Complete the installation normally - Choose your language > Next > Agree > Choose Destination > You can set as default or not > Install. After completing the installation, you may get a shortcut on your desktop or start menu. And the doPDF printer plugin (virtual printer) will be found in the print option of every program. Actually doPDF works as a virtual printer. With this tool, you can simply print your document virtually. After printing a file, it will be converted into a PDF document and saved in your hard disk. Like MS Word, you will get the doPDF printer in the print option of other programs. Make sure doPDF is installed on your system. Now open any printable document (ie. MS Word, Notepad or even a Webpage). Press Ctrl+P to open Print option. Select your Printer - doPDF. Go to printer properties or preferences to customize your settings if necessary. Now hit on the Print button > Choose File Name, Destination, Quality etc. > Hit OK to print your document. Now you can view your document through any PDF viewer. Hopefully, everything is clear about doPDF. Still if you have any confusion, please share with us . . .
EASEUS Data Recovery Pro Free Download !!! 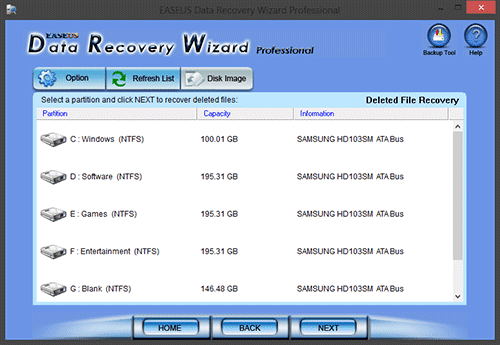 EASEUS Data Recovery Wizard is the most powerful as well as successful data recovery tool. With this tool, you can recover almost any lost data whether intentional or caused by virus. 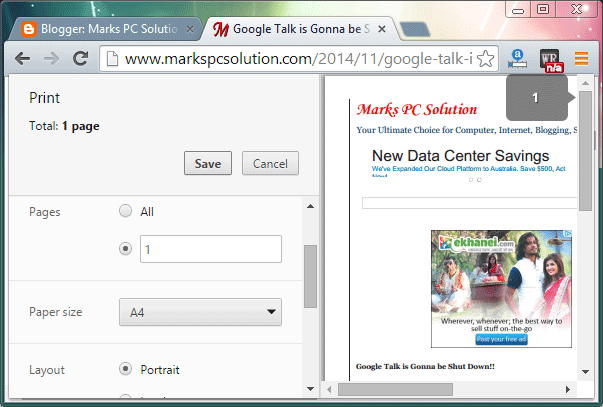 And Marks PC Solution is gonna share this tool for the visitors without any charge! It's 100% Free! No serial key or crack is needed to activate! Data recovery wizard is capable of working with almost all running versions of Windows OS starting from Win 2000 to Win 8. And you don't need heavy configuration to run this software. Hopefully, you will have no trouble to use this lovely tool. Don't install Data Recovery Wizard to the Bad Device. Don't change anything on your bad device. Make sure you've enough space on your good device. While running the operation, close all other applications to improve the performance. Download Data Recovery Wizard V5.5.1 (It's a zip folder). It's only 4.2 MB. Now unzip the folder and double click on EASEUS Data Recovery Wizard. After completing the installation, run the application from Start menu or Desktop. Now you'll have three options - Deleted File Recovery, Complete Recovery & Partition Recovery. Hit a mode to start depending on situation. Now choose what type of file you would like to recover and press Next. Choose a volume from which you wanna recover your data and press Next. Within few moments, the lost files will be shown. Select the files/ folders you would like to get back and press Next. Choose a path (file location) where you wanna save the recovered data and press Next. Now find and locate your recovered data on your selected drive! It could be saved in a folder. If you have any confusion regarding any option, you can use the help option. Help option will be available at the top right corner. And don't forget to leave a comment . . .